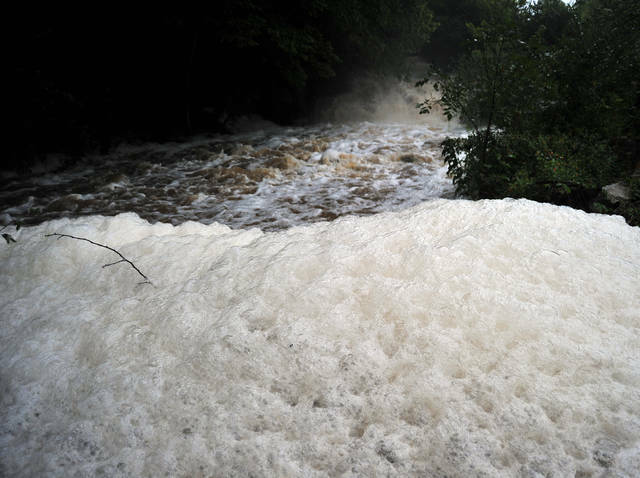 Mike Ullery | Daily Call Melinda Gleim of Troy and her seven-year-old grandson Titus Brant check out some unusual foam created by rushing water at the Miami Co. Park District Farrington Reserve on Sunday morning. Water levels continue to rise following two days of steady rain. 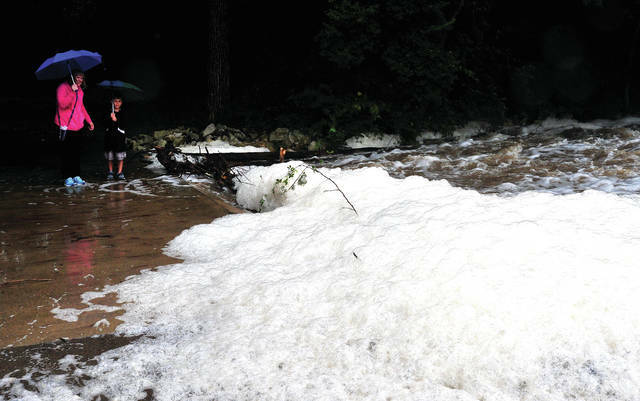 Melinda Gleim of Troy and her seven-year-old grandson Titus Brant check out some unusual foam created by rushing water at the Miami Co. Park District Farrington Reserve on Sunday morning. Water levels continue to rise following two days of steady rain. https://www.tdn-net.com/wp-content/uploads/sites/21/2018/09/web1_090918mju_weather_mcpd_farrington.jpgMike Ullery | Daily Call Melinda Gleim of Troy and her seven-year-old grandson Titus Brant check out some unusual foam created by rushing water at the Miami Co. Park District Farrington Reserve on Sunday morning. 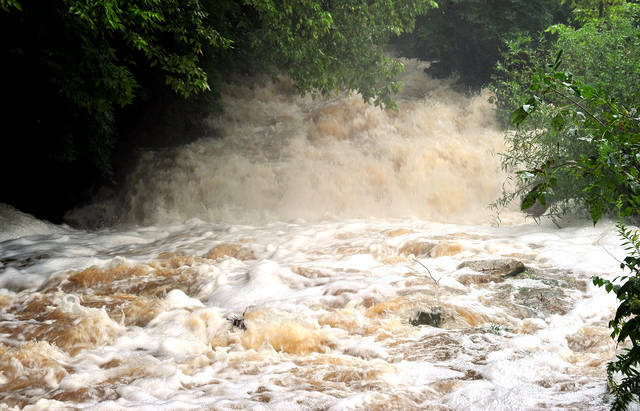 Water levels continue to rise following two days of steady rain.